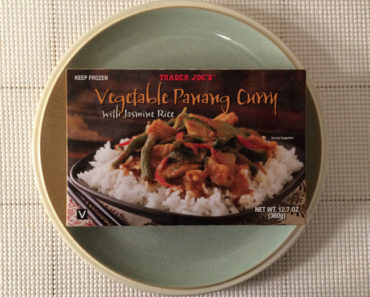 Shrimp is a wonderful food, and it’s a shame that it doesn’t show up in more frozen meals. 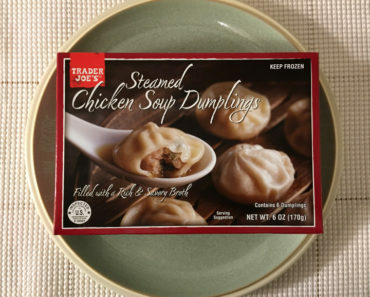 Of course, if you look for it, you will find some shrimp-based dishes in the freezer aisle at your local Trader Joe’s. In the past, we’ve checked out a few of those items, including the Sriracha Shrimp Bowl and the Spicy Thai Shrimp Fried Rice. 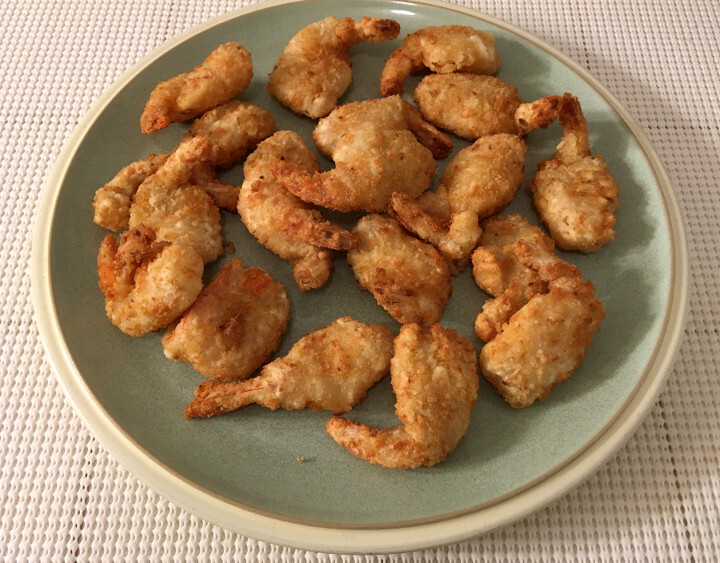 But if all you want is a bag of breaded shrimp that you can simply toss into the oven, then you might be interested in Trader Joe’s Coconut Shrimp. We’re going to taste this frozen shrimp for ourselves to see if it satisfies that shrimp craving. 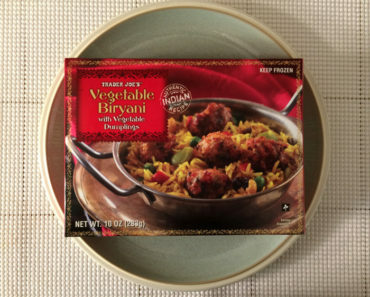 First off, this is very easy to cook. Simply preheat your oven to 450 degrees fahrenheit, lay the shrimp out across a cookie sheet, and bake for 10 to 12 minutes. These do have quite a strong coconut smell while they’re cooking. In fact, they actually smell a bit like cookies. According to the box, you should expect to find about 15 shrimp inside. Our box had 18 full shrimp, plus two disembodied tails. And in two pieces, there were two shrimp glommed together to form a super-shrimp, bringing our total to 20-plus-change. Now, these don’t end up tasting as sweet as they smell. There is a little bit of sweetness there, and a coconutty undertone can be detected, but we don’t think the breading tastes all that different from your traditional breading. Of course, if you end up eating more than a few of these, those sweet undertones grow more potent over time. If you eat a ton at once, you might find the coconut sweetness to be a little too much. Inside the breading you’ll find a sticky, tasty piece of shrimp. Shrimp isn’t a very fishy-tasting seafood usually, and these shrimpy little buddies don’t have a fishy flavor at all. Even if you peel back the breading (which we did — for science) and eat just the shrimp portion, we doubt you’ll detect much fishiness at all. A complaint we’ve heard about these shrimp is that they can be a little dry. We’re not sure we agree with that. 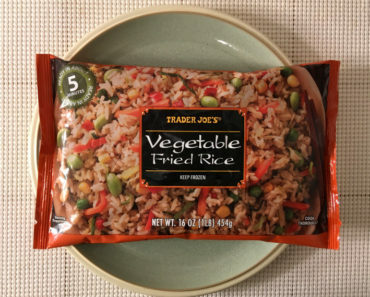 Sure, they’re not as juicy as they’d be if they were slathered in a sauce of some sort, but we actually think they have the perfect amount of dryness for a finger-friendly food. Plus, we’re not sure what sort of sauce we’d choose for these. Your traditional cocktail sauce doesn’t seem like it would do the trick. We’d personally opt for something a little sweeter. In fact, a little drizzle of honey might be really good on these. One serving, according to the box, is about five shrimp. 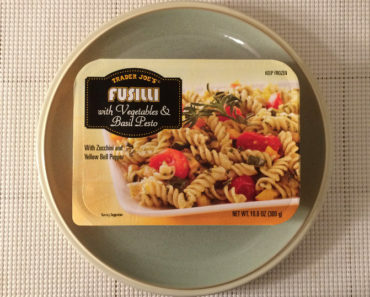 This amount will include 250 calories (100 from fat) and 480 mg of sodium. 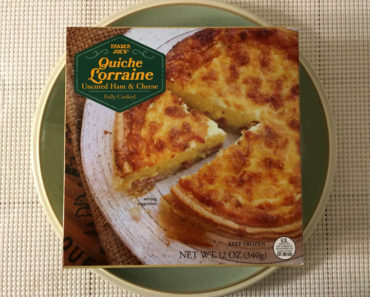 If you end up eating an entire box in one sitting, that’s going to run you 750 calories (300 from fat) and 1,440 mg of sodium. Or, if you end up with a super box like we did, you’ll end up consuming even more than that. Be careful with these little guys! 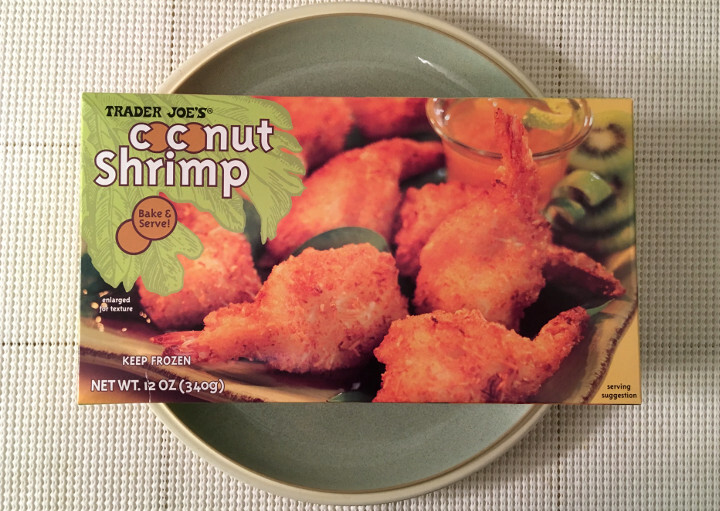 Trader Joe’s Coconut Shrimp are pretty tasty. While some might find these to be a little dry, we actually didn’t think that was a problem. Also, no, we didn’t eat the hard tips of the tails. That’s just gross. 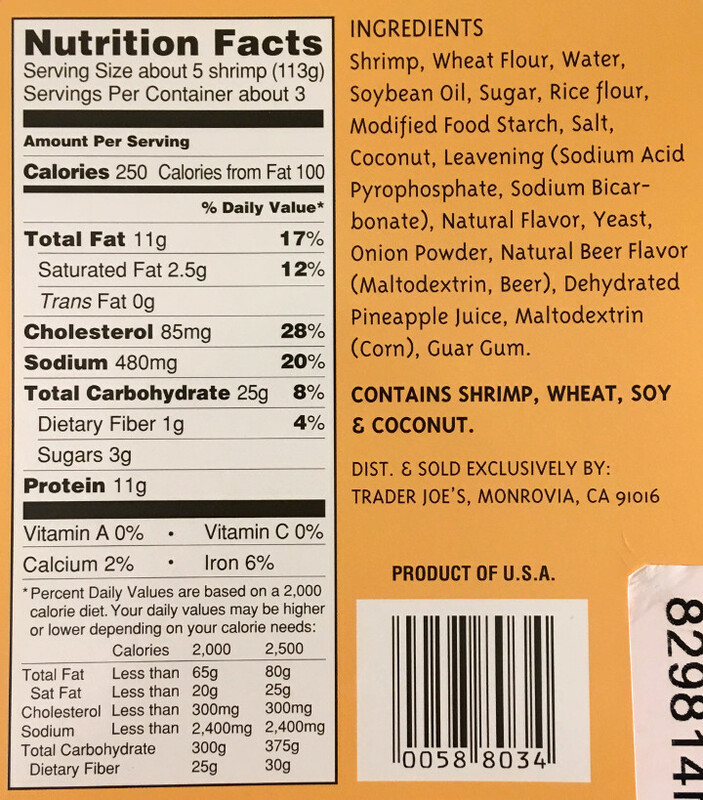 To learn more about the nutrition content or ingredients in these Trader Joe’s frozen shrimp, check out our package scan below.